CRICKET: The Glen A grade side has hit off its Frenchville Sports Club Challenge with a resounding 138-run victory over Rockhampton Brothers on Saturday. The Glen captain David Heymer had no hesitation to bat first and opener Jake Robinson helped to lay the platform of 235 runs scored with 50 himself. Middle order batsman Jason Seng top scored with 76. When Brothers came out to bat it was Harry Rideout who helped start the batting collapse, taking four wickets and getting the early breakthroughs and keeping them to all out for 97. 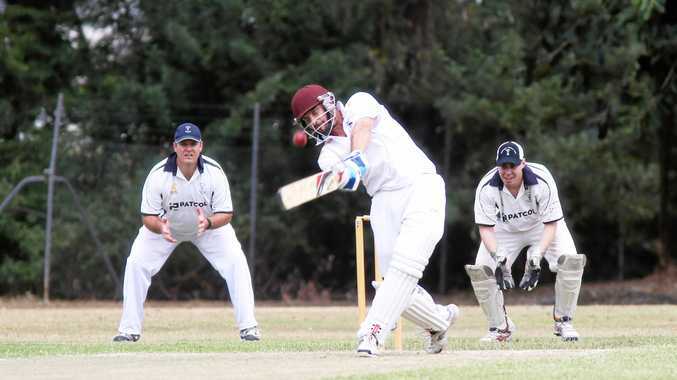 Heymer said the win was a good way to start off the season in the intercity cricket challenge. "The players all did their bit to help with the win and held catches and didn't drop any when we were fielding," Heymer said. "The bastmen all scored runs and helped to set up a good score for the team."